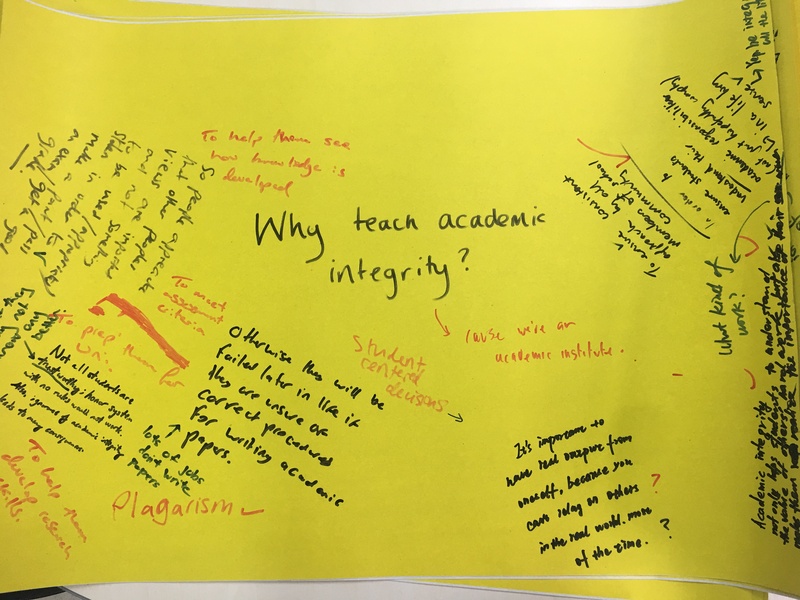 In November I shared the first stages of my thinking about developing our academic honesty policy. In this post I want to follow-up, to document the most recent steps. 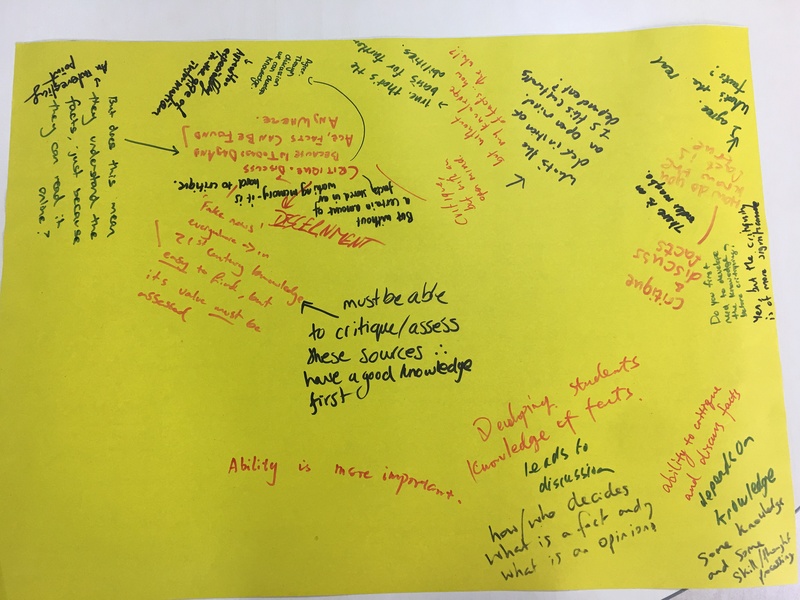 Last Monday, while trying to find my mind, which I appeared to have left somewhere between the UK and China, I lead the second inset session on academic honesty. Running inset when you are jet lagged isn’t fun – especially when all the team is equally as tired! 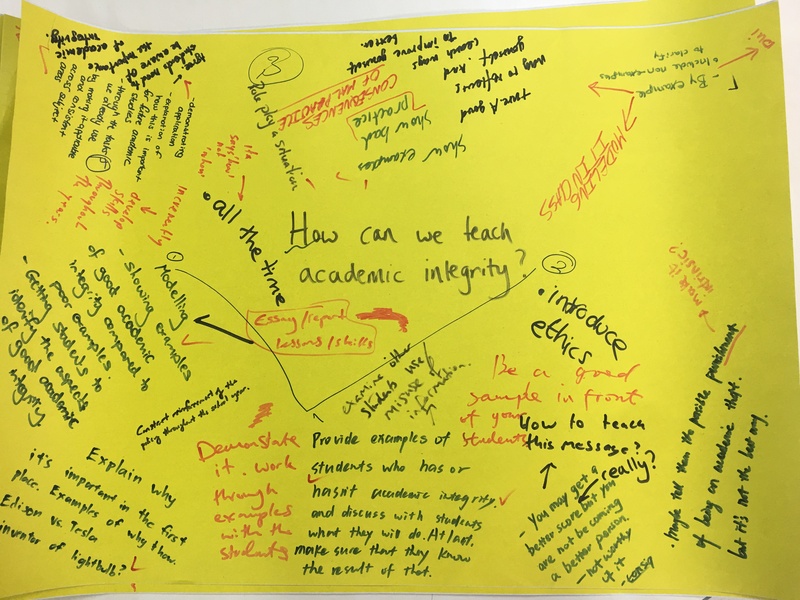 During this session, I followed a very similar model to October’s inset, using chalk talk as a way to elicit thoughts and ideas about the academic honesty policy. 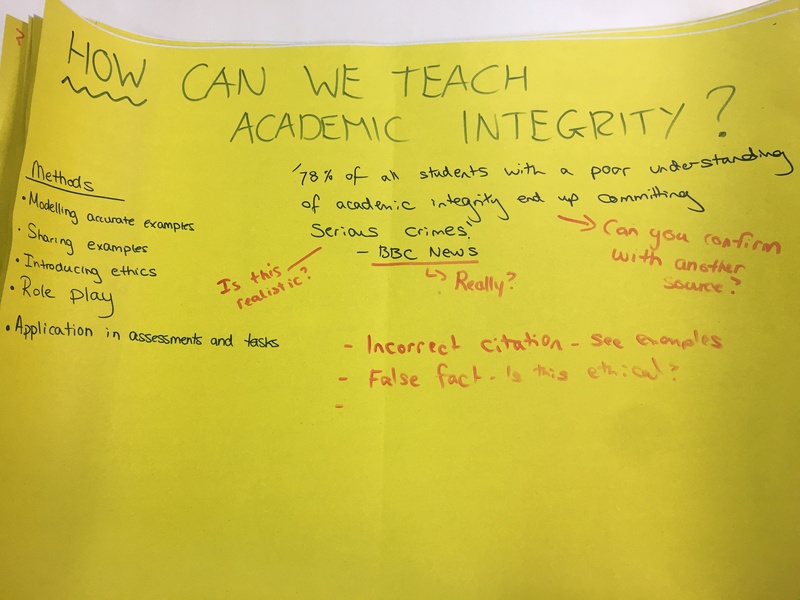 I am keen not to simply impose my ideas about academic honesty on the teaching body but to encourage by in, I want to grow a policy as a team. It may seem like this is a little esoteric, but having a shared understanding of the why’s, what’s and how’s of teaching academic honesty is a really important part of what we do as educators. 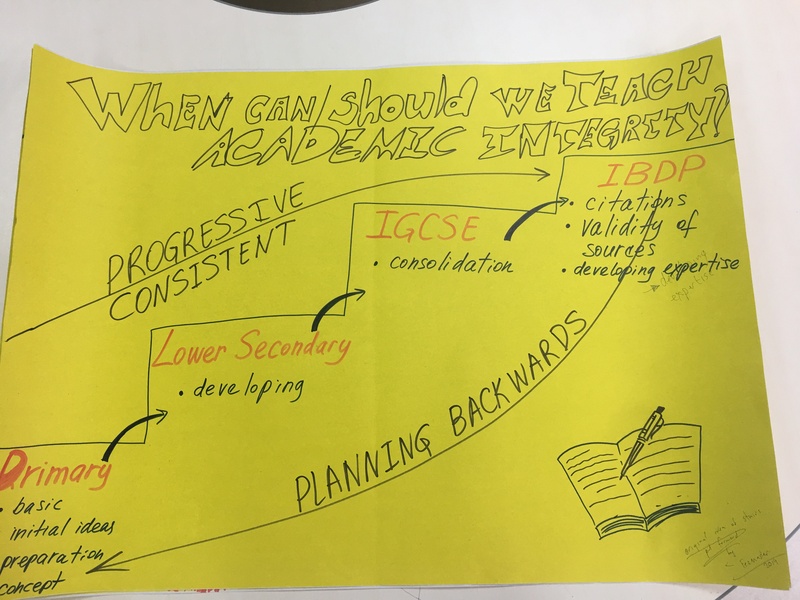 Understanding the issues of good practice in this area impacts on many other aspects of classroom practice and should engender a change in the way that we approach planning of units, lessons and tasks. developing students knowledge of facts or ability to critique and discuss facts? Finally, the team was asked to present the discussion points and ideas on the question sheets that they started with to the rest of the group. Before ending the session with a call for volunteers to join a working party, I shared the results from the staff citation survey that I conducted in November. These results certainly gave me some food for thought as there were some good arguments presented for not having a centralised citation policy. 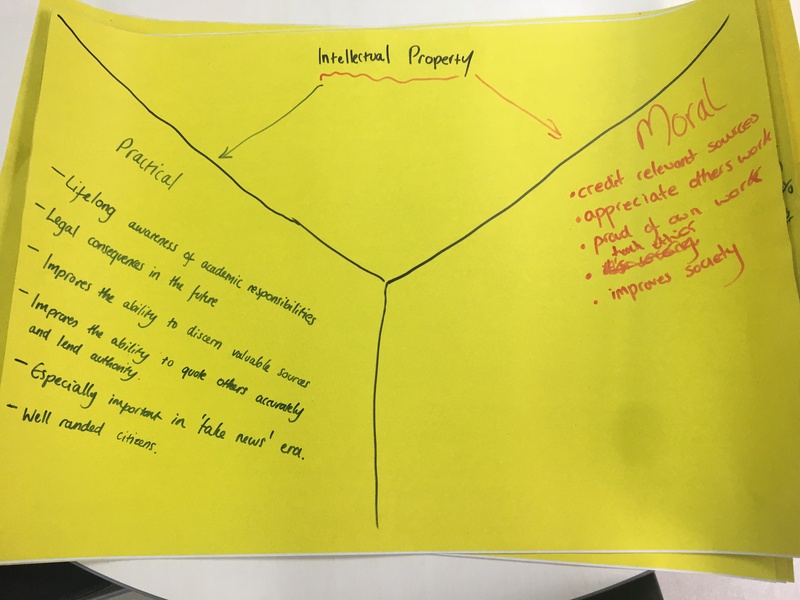 Most staff thought it would be a good idea to have a centralised policy but the arguments against it were that essential that students should be exposed to a variety of different ways, no one way is right, students joining the school may have learned different systems and should be allowed to demonstrate that learning. All valid points and I must have admit shifted my thinking on this one a little. Another advantage of decentralising the policy could be that departments take responsibility for agreeing a policy together and therefore think about and implement a procedure that is useful for them. Considering that only one member of staff has taken me up on my offer to form a working party to develop a policy, this could be another avenue for ensuring buy in to the new policy. I may ask HODs to formulate a policy and to let me know what system they are going to teach to ensure that we avoid the attitude of “let some other department deal with it”. Now I need to think about how to take this forward so that we can launch a policy next August. I have now had staff contribute to the triage of where the school is at. 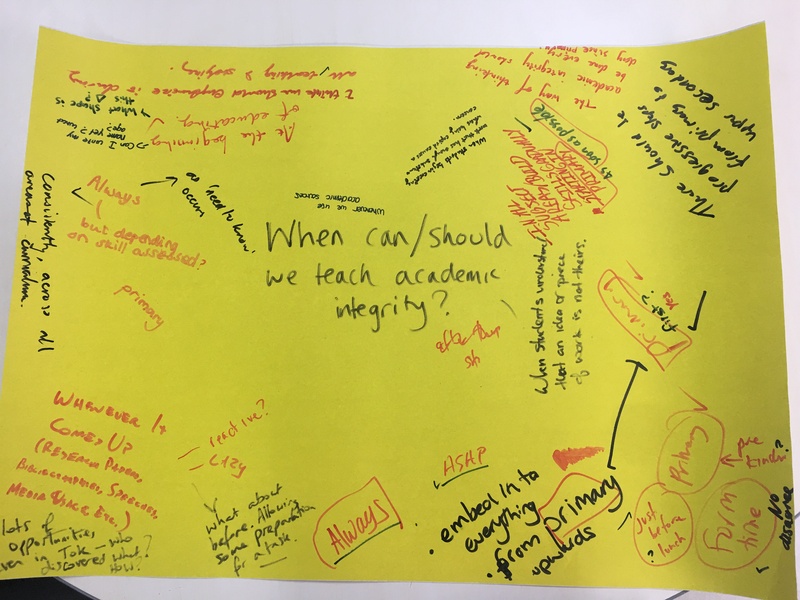 Now we need to decide what to put in the policy and write it and I need to think of how best to achieve this, if teachers don’t volunteer to join the working group?